WASHINGTON (AP) – Sign-ups for the Affordable Care Act’s subsidized health insurance are still rising, the government said Wednesday. But with just over a week to go in an enrollment season cut in half, experts say the final tally is likely to fall short of last year’s total. About 3.6 million people signed up through Dec. 2 in states served by the federal HealthCare.gov website, according to the Centers for Medicare and Medicaid Services. That’s more than 20 percent higher than the comparable period last year. However, this year’s open enrollment ends on Dec. 15, and last time around it continued through Jan. 31. 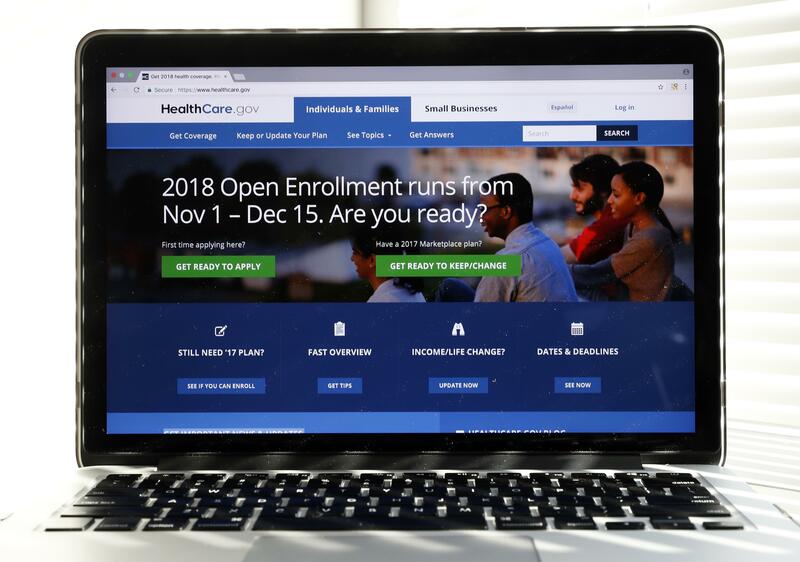 Barring an unusually strong final surge, experts say it’s unlikely that enrollment for 2018 will match the 12.2 million initial sign-ups for this year. It’s been a tumultuous year for the health care program passed under former President Barack Obama, which has been credited for expanding coverage and driving the nation’s uninsured rate to a historic low of about 9 percent. President Donald Trump and the Republican-led Congress set out to repeal “Obamacare,” but repeated attempts have ended in failure. The Trump administration cut the enrollment season in half, saying that would bring the ACA in line with other health insurance programs. At the same time, the administration slashed the advertising budget for 2018 from $100 million to $10 million. That feeds a vicious cycle of rising premiums, lower enrollment, and dwindling insurer participation. The latest numbers are for the 39 states served by the federal health insurance website. States running their own health care markets have later deadlines. That could boost the final numbers, which aren’t likely to be available for weeks. Another wild card that could raise the final count will be the number of people automatically re-enrolled in the plan they had for this year. Former Obama administration official Lori Lodes said she thinks if sign-up season hadn’t been cut short, the ACA would have surprised naysayers with a strong performance. “The demand is just so big this year but there’s little time left,” Lodes said. Published: Dec. 6, 2017, 8:30 a.m.